The foundations for the modern facility were put in place by the Duff family and James, Second Earl of Fife, in particular. Construction commenced in the 1770's. The first basin was created in 1783 and by 1791 there were two basins, east and west, the latter remaining in place as it is today. The harbour remained in the ownership of the Duff family until 1898 when it was transferred to Macduff Town Council. Although situated on a fairly exposed part of the coast where gales from the North East can create problems to the entrance, the harbour is probably as safe as any along the coast. A general cargo and fishing port, Macduff has a slipway with side slipping arrangements for up to seven boats. There are around 40 boats which mainly operate and land at larger ports, but return to Macduff for repairs and maintenance. The harbour has a completely enclosed fish market where sales are conducted when local supplies are available. The port's steady cargo trade consists of the import and export of coal, fishmeal, soyameal, rock salt and sugar beet. Depth of the entrance channel and outer basin is 10 feet (3.04 metres) below MLWS while the inner or Princess Royal Basin is 8 feet (2.43 metres) below MLWS. Maximum operational length is 200 feet (61 metres). 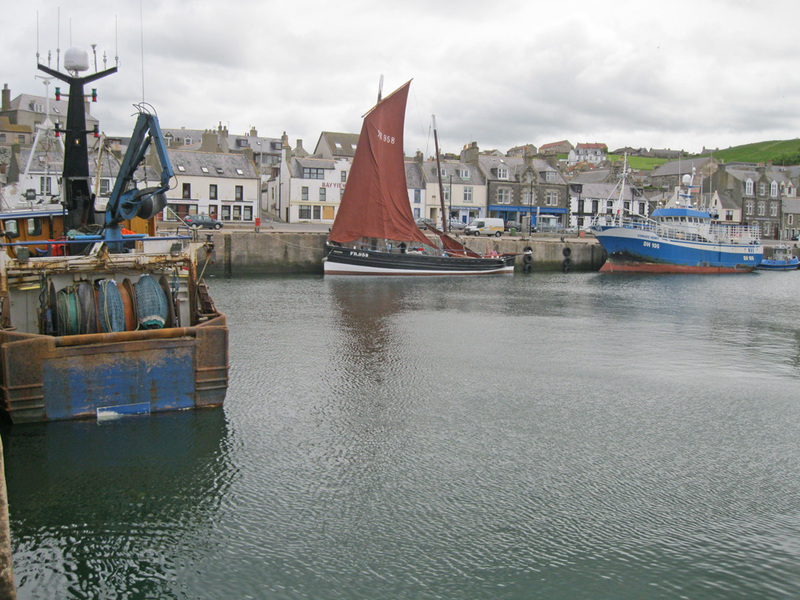 As a general rule fishing vessels can enter at any state of the tide during neap tides but deeper drafted vessels are restricted from entering hours either side of low water.